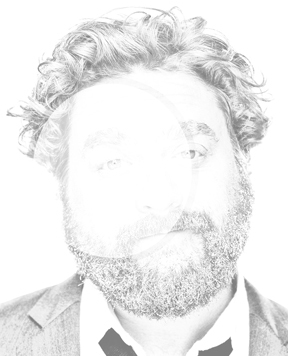 Being Retro: Z - Zach Galifianakis Doesn't Come Here Anymore! I can't say I am glad to see the A-Z Challenge come to an end. It was the first time I have been motivated to post so much so frequently. Whatever will I do now to find inspiraton? Sorry to hear you were so sick. Many a healing thought to you and I will send out an extra prayer or three, my friend. Will be getting back to your posts I missed. thanks for being a great friend and supporter of my blog. You rock and are one of the finest people out there. You did well Jeremy, congratulations! WTG Jeremy! You did it! Loved it and can't wait for the next one. Thanks for the challenge. Thanks so much for everything you did to make the challenge awesome, Jeremy! I'm glad to see you made it to the end. Sick for half the month is no fun! But you made it - we all made it. Another Challenge complete. It has been a great month! Here's to all of us who stayed to the finish! Since I've been doing the Challenge, April seems to pass in a whirl. Definitely will do some of the stuff you've suggested. Sending good wishes to all who've had major challenges this month. This was my first A to Z Blogging Challenge and I made it all the way through! What an accomplishment for me and for all who made it to Z! That's All Folks! - Complete perfection. Thank you Jeremy, it's been a great month. I am sorry to hear you were ill and truly hope you are well on the way to recovery. and on this comment, thank you to Arlee and all his helpers who made this possible! Thank you thank you thank you! Ah, it has been a fab April this year, Jeremy! Made even better by the lovely retro graphics you gifted us with! I recommended your blog in my Z post (it is already April 30 in India!) :-) and yes - I read the comment instructions re link back! Cheers! and looking forward to the next big thing! YOUUUUUUU ..... AREEEEEEEE ..... AWESOMEEEEEEEE!!! I had a great time visiting with you even if you made me realize that I missed some good TV watching some bad TV. I handed out 10 of your Zombie Rabbit Awards today! Hopefully, I have started a new epidemic. Dude, hope you're feeling more betterer now. It's been a long, weird April. Glad we all made it! Z...YAY - We made it! I had so much fun visiting with everyone and seeing some of the unique posts they came up with. I'm already looking forward to next year. Works for me! The End. You were still there despite your sickness, hope you're feeling much better now. Sorry to see the end of the challenge. 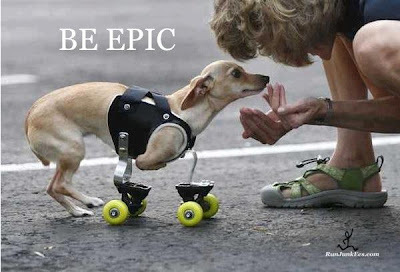 That little dog is totally epic, what a hero also the owner that didn't take the easy option. See you soon. Seriously, though, feel free to call on me if you need help with anything else in the future...it was fun. You have a great blog here, so keep on truckin'! You also just reminded me that I need to watch the first two Hangovers before the 3rd one comes out this month. I'm sooo backed up on my movie rental queues! We had a great run to the finish line, didn't we! Congratulations on making it all the way through the alphabet! We're done! Congratulations on making it to Z. I will be reading blogs every day now. What a delightful blog! I don't know how I missed this one on that massive list! I am following--even though I really wouldn't know a zombie from a vampire--so I will try to pop in more often now. Thanks for all your work on the challenge! I'll be back for sure next year--unless I am in another renovation project--this one just about did me in! Congrats on finishing! Love that sweet Be epic photo! Congrats on finishing and great work done in hosting this challenge! Have enjoyed every bit of it! Thanks for hosting this wonderful challenge! It's been and will continue to be, a pleasure to interact with your good self. Hearty congrats to you, to the other hosts and to all those who tortured, sorry, who shared in the ethos of a sharing, caring blogging community during the A to Z. Yes, I really do hope it's the last one! :) Thank goodness it's May and normal service can resume. 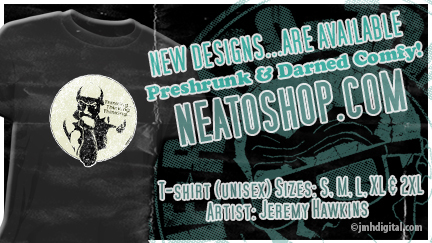 Be well and happy blogging, Jeremy. Gary at the, "Anarchic Alphabet Alternative." Good job Jeremy. Glad you made it through your illness and came out on the other side. Zach is so crazy he should stop coming around...he'll scare the children!